We grandmas are always looking for special things to mail grandchildren for holidays. The grandchildren love getting presents in the mail. I am always surprised at where I find bargains. For Easter, as with other holidays, Williams Sonoma has special sales and free shipping no matter the price! They have Easter candy for $12.99 and up with free shipping. The real real bargain at Williams Sonoma is the holiday stuff from the most recent previous holiday that is on deep discount. Fortunately for us, Valentine’s Day is the previous holiday and check out the heart candies and cookies for $5.99 discounted from $24.99 which still work for Easter. And for free great advice, check out their Easter guide. 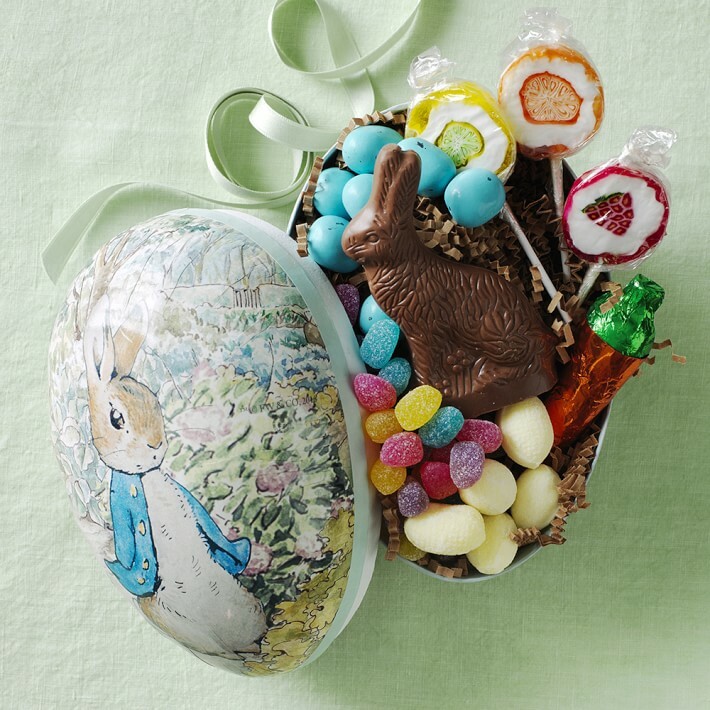 Williams Sonoma gives you advice on how to create the perfect Easter basket. Learn new ways to decorate eggs with tips from their stylist. Use their timeline and planner to organize a perfect Easter egg hunt. Remember to sign up to get emails from Williams Sonoma so you can take advantage of the best selections at sale time. For Passover, this Grandma loves Amy of Modern Tribe. ModernTribe is the best source for fun Jewish gifts with a modern design aesthetic from all over the world. The best tip for Modern Tribe is to buy ahead for holidays for next year at great discounted prices, such as Chanukah bargains at $6. For Passover, there are baby bibs and toys and games at $6 and up. So many of the items we have used year to year. There are shipping discounts at holiday times to, so sign up to receive emails and get the best discounts. Target, Michaels, and Walmart have great bargains, if you are still into “brick and mortar.” Stores are finding more and more that fewer and fewer of us are. When you are in a brick and mortar store, remember to go to www.retailmenot.com on your smart phone. You will be surprised at the instant store discount coupons! I saved 50% off one item at Michaels last week just by going to www.retailmenot.com standing in the checkout line.